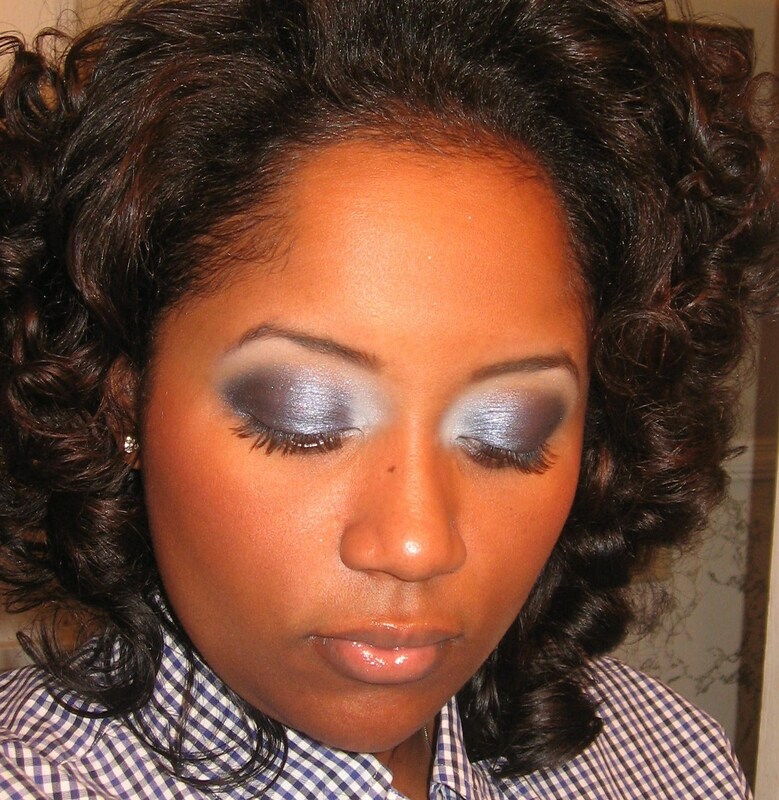 This is my version of a blue smoky eye. It’s kinda on the steel blue/ dark gray side with both metallic sheen & glitter particles (yeah, I was doin’ the most). Today I used this sparkly navy blue e/s that I purchased @ Victoria’s Secret one day when I was bra shopping with my besties. I walked past the VS makeup display & I couldn’t leave empty-handed. I’m all about glitter & sparkles, so I was sold on that aspect alone. This e/s however, lacks the staying power of several cheaper brands *WHOMP WHOMP* BTW… my soul is vexed by the fact that you can’t really see the sparkles in these pics (but I promise you it was there)! 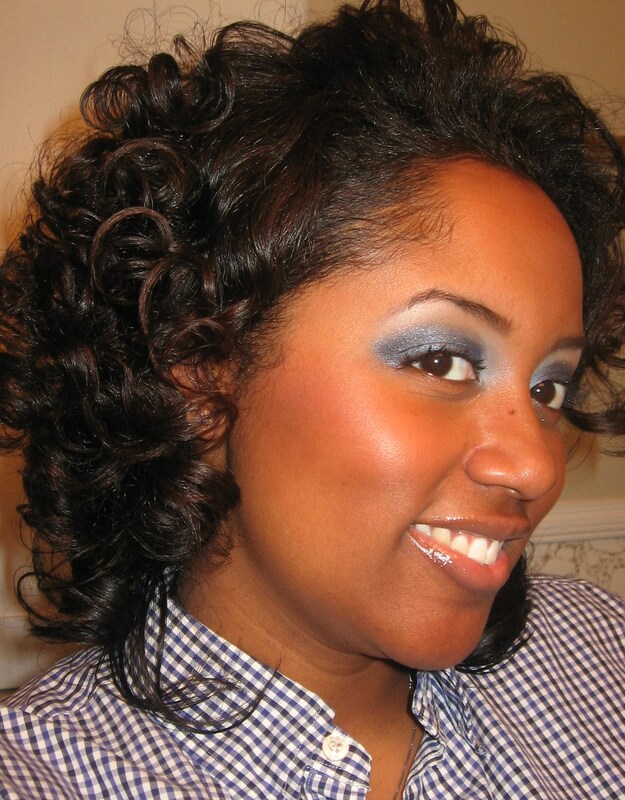 Use a dark base (black, blue, gray or purple). Keep light and/or pastel colors restricted to your tearducts & brow bone. Keep the color below your crease & use something neutral under your brow (or risk looking like Mimi from the Drew Carey Show… GOOGLE IT!). Use mascara or false lashes, so that your lashes don’t get lost in the mix. 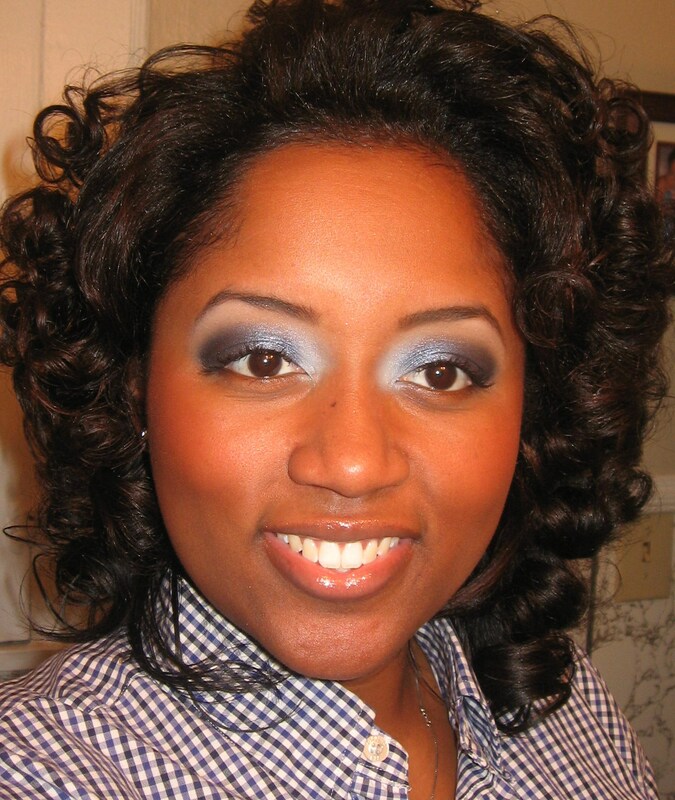 DO NOT neglect the area under your eye! Put some black, gray or blue eyeliner on your waterline. You can even use a pencil or liner brush to apply e/s under your eyes if you’re going the extra mile! If you have fallout from all the dark colors you’ve applied to your eyelid, brush it away, then add some concealer + pressed powder under your eye… DARK CIRCLES are no one’s friend! SHADOW: On my tearducts I used a matte off white (WNW Vanity). 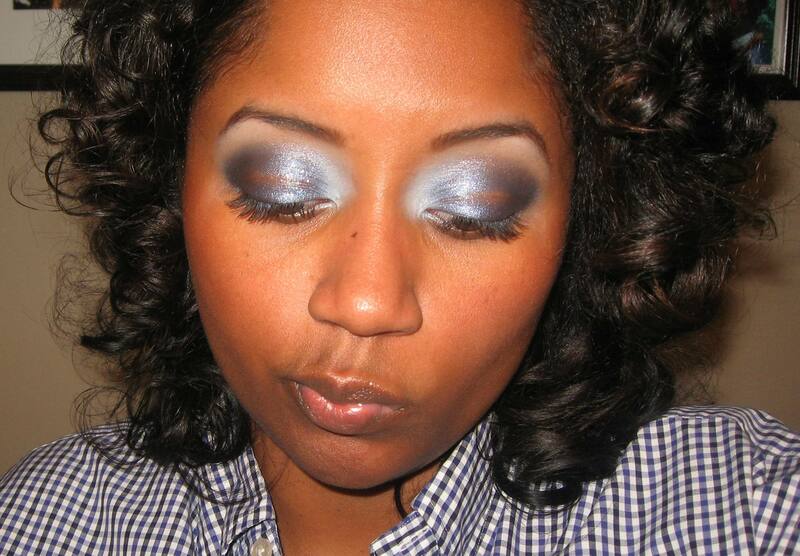 I blended that into Victoria’s Secret Silky Sparkle in “Spin” (a sparkly grayish-blue) on the center of my lower lid, then I used shimmery navy blue from the L’Oreal Studio Secrets Professional Color Smokes in “Cobalt Smokes” to deepen my crease/ outer v. I also used matte off white (WNW Vanity) to highlight my brow bone. What happened here? It looks like I got into a fight & lost, LOL. This e/s didn’t make it past lunch with both a primer & cream base, THAT constitutes EPIC failure in my book… On to the next one!